There are three parts of the ear: the outer ear, the middle ear and the inner ear. Each part has a role to play in the process of hearing. Sound is produced from the vibration of an object. These vibrations are carried through the air in the form of pressure waves. 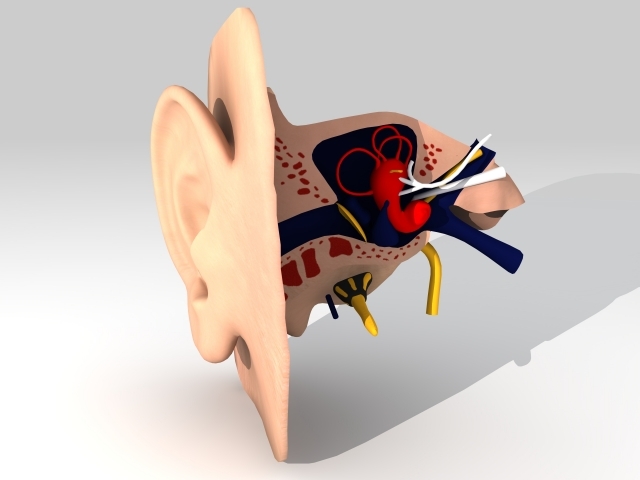 These sound pressure waves enter the ear and travel down the ear canal to the eardrum. The eardrum vibrates as the sound waves hit it. This vibration of the eardrum then moves through the bones in the middle ear. The bones of the middle ear are the smallest bones in the body and are referred to as the ossicles. The structure and position of the ossicles results in an increase in the sound pressure that is sent to the inner ear. The inner ear or cochlea is fluid-filled and contains the sensory cells of hearing known as hair cells. As the fluid in the cochlea moves these hair cells are moved or displaced. It is this displacement of the sensory hair cells that stimulates the nerve of hearing. The auditory nerve carries the signals to the areas of the brain dedicated to hearing. Hearing loss is a very common problem. 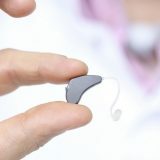 Hearing is used for listening, comprehending and communicating. A quarter of all 65 year olds have hearing loss. 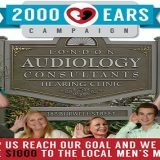 This increases to 83% in the over 75 year old population, so we recommend that all seniors have a hearing test. It is much easier to adapt to hearing aids if the process is started early, but no one is “too old” to hear well! People seem to be not speaking clearly. You are asking for repetition frequently. Difficulty following conversation when there is background noise or in groups. You can hear a voice, but can not understand the words. The TV is turned up louder. High-pitched sounds, such as birds, are difficult to hear. Family and friends tell you that you are not hearing well. The most common causes of hearing loss are noise exposure, the aging process, and hereditary factors. Injury, ear infection, and diseases of the ear can also cause hearing loss. Hearing loss can occur in the outer and middle ear, the inner ear, or in both places at once. These kinds of hearing loss are referred to conductive, sensorineural and mixed hearing loss respectively. How much hearing loss is present is referred to as the degree of hearing loss. 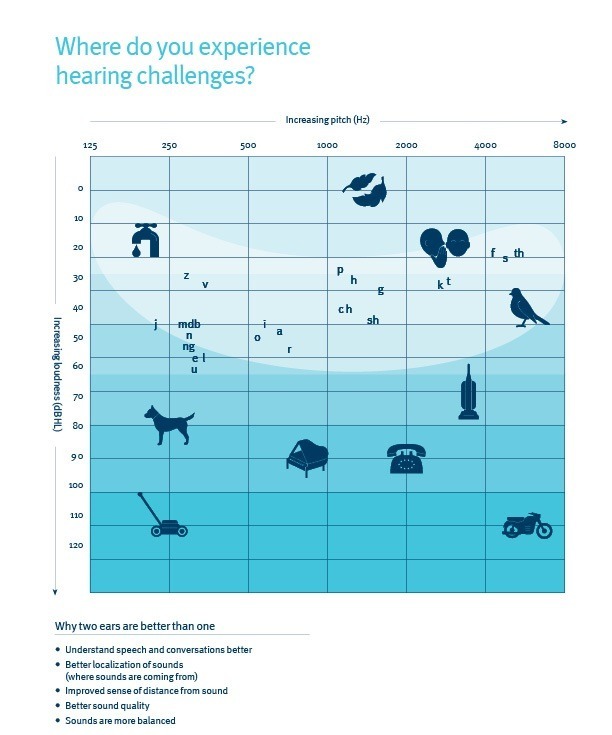 The degree of hearing loss is based on the decibel level an individual can hear and the classification categories are mild, moderate, moderately severe, severe and profound.